It is widely known, that the cleanliness of modern oils for automatic transmission units and high power engines cannot be measured by optical extinction counters. The neccessary additives which are present in these high-tech oil confuse the optical (laser) based detection principle. Therefore the cleanliness analysis via filter and microscope is the only way. The old ISO 4406/4407 standard does not make any significant prescription concerning method and equipment. As a consequence, no wonder, analysis results from different labs, using different equipment and counting methods can differ in orders of magnitude. To end this unacceptable situation a workshop of car manufacturers, oil suppliers and measurement equipment manufacturers started in 2009 to set up a new standard. JOMESA was an active participant of this workshop. This evolving DIN 51455 standard prescribe many operational and equipment prerequisites, which allow to get comparable results from different labs and operators. 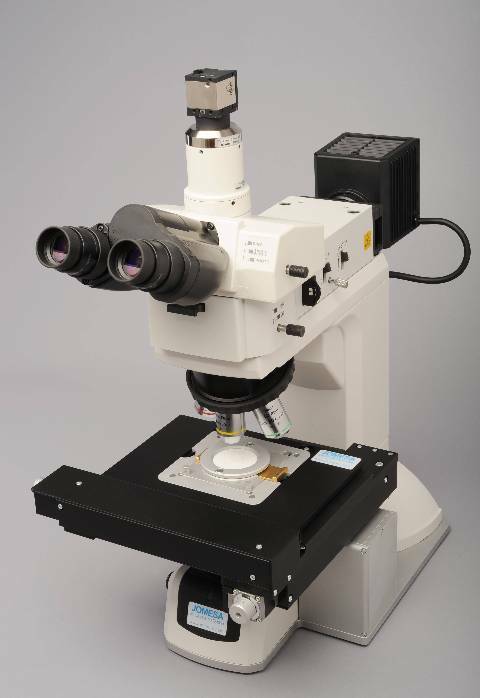 The JOMESA MAT3 system based on a material microscope fully conforms with these requirements. There are some additional highlights. Using a color camera and a true 0.4µm/pxl resolution. 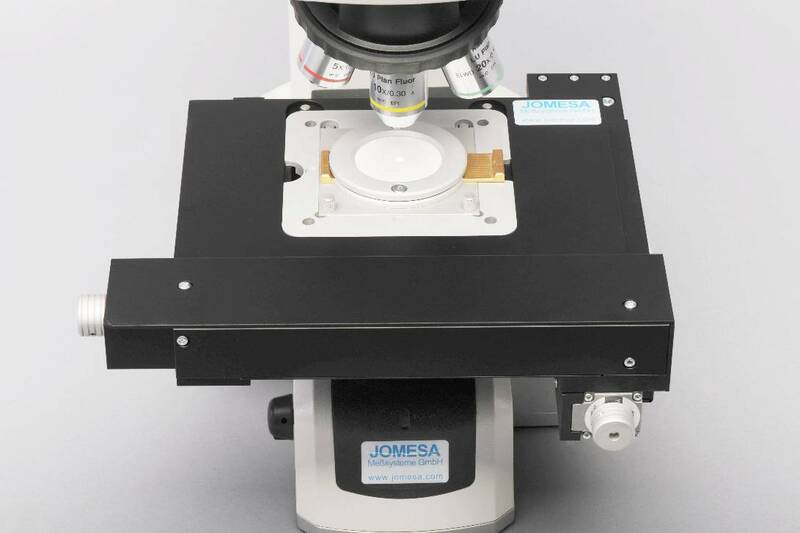 JOMESA was the first company introducing this focusing method in filter membrane analysis. Thereby ensuring that every field of view is correctly focused. This method is superior to a focus map with interpolation approximation. This unique device ensures a flattened filtermembrane by stretching the filter like the skin of a drum. Although the system is capable of scanning even wrinkled membranes, the scanning time is greatly reduced when scanning a flattened filter. Automated light control (USB interface) with histogram based brightness control. This JOMESA unique feature ensures that the brightness setting is controlled by the brightness of the membrane background (this is the maximum of a brightness histogram). This method is superior to a camera based (shutter) brightness setting, where the brightness of the total image (background + particles) must be used. . This standard for the first time demands an equipment check, based on a particle standard. The particle standard comes with a certificate, ensuring the traceability to national standards.